But when a natural disaster hits Antarctica, the future of the Ancient outpost – and of Earth itself – is thrown into jeopardy. 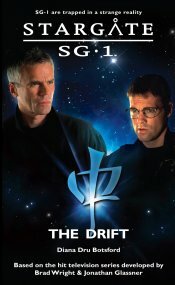 Yet again, Earth’s fate lies in the hands of SG-1, but this time the team are lost and powerless to help. “Nada. Bupkiss.” Jack’s voice lowered.